Ah, the snickerdoodle. Simple, yet so delicious. Who doesn’t love them? My sisters and I made them all the time as kids, but I hadn’t made them in years. Then I found this recipe. 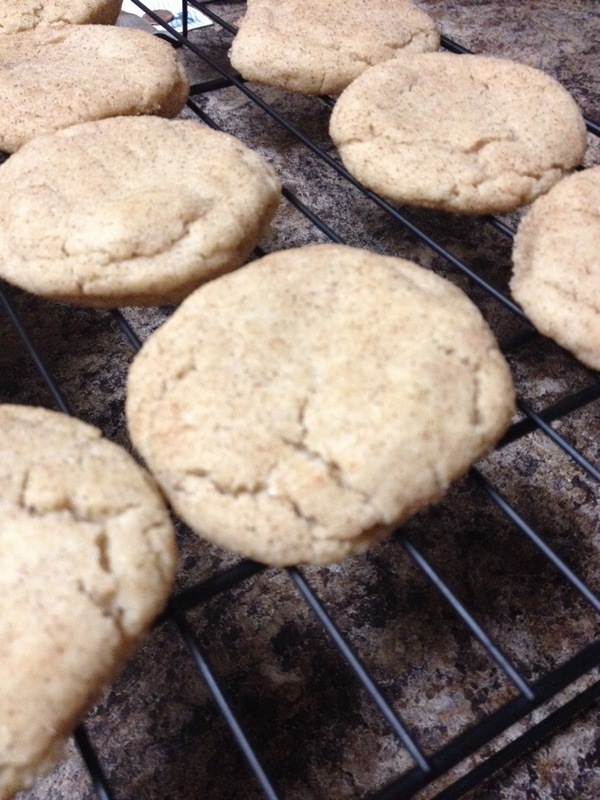 The only thing that could make snickerdoodles better is to make them soft and chewy! Oh man, did this recipe deliver. The dough was super thick so I had a tiny bit at the bottom of the stand mixer that didn’t get incorporated, but I got about 2 dozen good-size cookies. One of the secrets to these, of course, is under-baking. It took exactly 11 minutes for these babies to be perfect! I took them to my office today and they disappeared. I wonder how many batches of these I have to bring in to get a raise? i love that website. all her stuff is delicious! now i wanna make snickerdoodles. i bet ryan would love them.